No matter your area of work, chances are you’ll need some form of personal protective equipment at some time. PPE Industrial Supplies are safety equipment suppliers for Edinburgh, with full protective wear ranging from steel toe capped boots to disposable gloves. PPE clothing and gear comes in all forms, and ensuring you have the right PPE for the job is vital for a safe workplace. 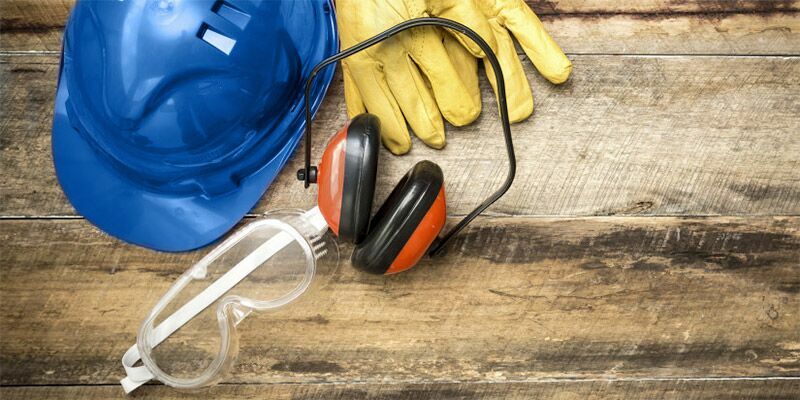 Ensuring your protective clothing and equipment are of a suitable standard for your industrial needs is crucial, so that they will help protect you and your workers in the event of an accident. PPE requirements vary from place to place, so to ensure your business complies to all UK OSHA regulations, feel free to call drop in to our store for a chat. PPE protection needs to be sturdy enough to protect the wearer from a variety of industrial hazards, such as chemical spills, falls or accidents in low light. As supplier of protective clothing and equipment across Edinburgh, PPE Industrial Supplies ensure our products, including work pants, high visibility jackets and work boots, are compliant with relevant legal requirements. We offer a wide selection of industrial workwear for purchase from PPE suppliers, much of which can be personalised so that your business is seen throughout construction sites, laboratories or anywhere else personal protective clothing is required. If you are looking for personalisation options for your protective clothing, please get in touch and we will be happy to chat through options. It’s important when buying your PPE gear that you can trust it to do its job. We select and sell the highest quality protective equipment by finding brands we trust and recognise, and we hope that by doing the hard work on our side, you won’t have to worry about ensuring the PPE items you purchase are fit for purpose. We stock a wide range of brands you will be familiar with, including Shugon, Regatta, Dickies and Portwest PPE workwear. We’re stockists of a wide range of PPE gear, at a range of prices to suit your budget, giving you one of the best selections of protective clothing for Edinburgh. Simply visit our online catalogue to check out our latest range, or pop into the showroom to chat in detail about your needs. The city of Edinburgh is home to a large young population thanks to its universities and booming technology industry. Some of the booming sectors driving the demand for personal protective equipment in Edinburgh include health care, transport and construction. The security and organisation of popular events like the Hogmanay celebrations or the Fringe Festival also require corporate personal protective equipment and branded uniforms. At PPE, we can customise your garments and delivery your order free of charge to all areas of Edinburgh for orders over £150. It is increasingly important to consider PPE clothing for children. Garments such as high visibility vests for children going to and from school, or on day trips out of school bounds, are needed to keep them safe, especially in the dark nights. Our comprehensive range of PPE for children in Edinburgh includes hi-vis waistcoats and hats with reflective strips for maximum visibility. To view our full range of industrial work gear for your needs in Edinburgh, you can visit our online catalogue to order, or pop in to see us in-store if you would like to discuss your industrial workwear needs and branding options in more detail. Get your free personal protective equipment quote today.